College Football is back! The official Week 1 of the regular season kicks off Thursday night with a handful of matchups. Per usual, these are just the appetizers to a full and juicy slate of Saturday matchups. With the NFL still a week out, the College Football action lasts into Sunday and Monday this weekend as well. Below is your guide to the most intriguing games on the College Football Week 1 slate. The marquee matchup on opening night has to be considered a must-watch. The Big Ten is certainly offering no rest for the weary with a Week 1 conference matchup. The Wildcats earned the sixth overall preseason ranking in the Big Ten while the Boilermakers sit at number nine after last year’s surprising bowl game appearance. Two excellent coaches in Pat Fitzgerald and Jeff Brohm will man the sidelines. The matchup to watch will be the talent-filled Purdue offense against a strong Northwestern defense. The Rocky Mountain Rivalry seems to occur earlier and earlier every season by my account. This year, it comes in the season’s first official week of play, however the Rams are coming in with an 0-1 record after falling in their season opener to Hawaii last week. Since the turn of the century, Colorado has won 12 of the 18 games in which the Centennial Cup has been put up for grabs. The Buffaloes were picked to finish fifth in the Pac-12 South Division, while the Rams were picked third in the Mountain West Mountain Division. 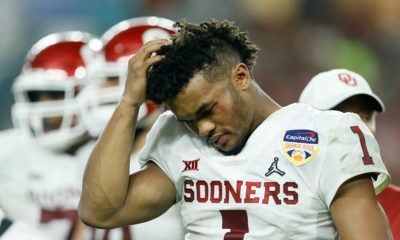 You may be asking yourself how an Oklahoma squad fresh off a College Football Playoff appearance taking on an opponent from Conference USA can be must-see TV. And while it is entirely plausible that this game could get away from the Owls in a hurry, you may have forgotten just how good FAU was last season. Lane Kiffin is still the head man, and the talent-laden roster he has put together has Florida Atlantic as the runaway favorites to win Conference USA once again. 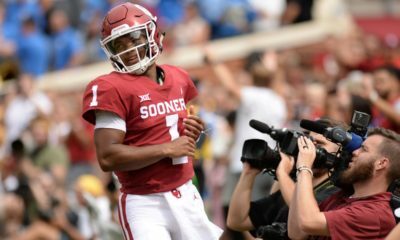 The Oklahoma offense remains full of playmakers, but first-game jitters could always be possible with Kyler Murray now at quarterback following Baker Mayfield’s departure. Of all the early Week 1 matinee games on Saturday, this is the one to keep an eye on. It doesn’t get much better than a top-10 matchup on the first Saturday of the season, and that is exactly what the Huskies and Tigers bring to the table. Washington earned 40 out of 42 first place votes in the preseason Pac-12 North rankings and are a popular pick to get back to the College Football Playoff. A win over Auburn is crucial, however, as their schedule is softer than other CFP contenders. Auburn meanwhile received the third overall ranking in the SEC preseason poll. With a daunting conference schedule, avoiding a home setback in game 1 is a must. 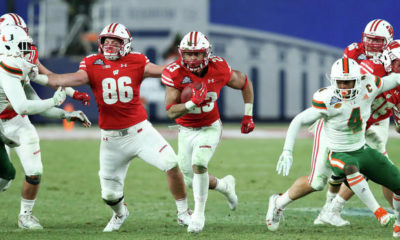 For as rough a start as the Broncos had in 2017, they managed to right the ship and capture another Mountain West championship. Expectations are higher heading into 2018. Boise State received all 22 of the first-place votes to win the Mountain Division of the conference. However, a road trip to take on Sun Belt contender Troy is no gimme. The Trojans owned the best overall record in the conference last year while sharing the conference championship with Appalachian State. This will be the first year of the Sun Belt having a championship game, and preseason polls have Troy and App State separated by just two points in the East Division. The Broncos are the more respected of these two mid-major programs, but the Trojans have a big opportunity to put their name on the map. 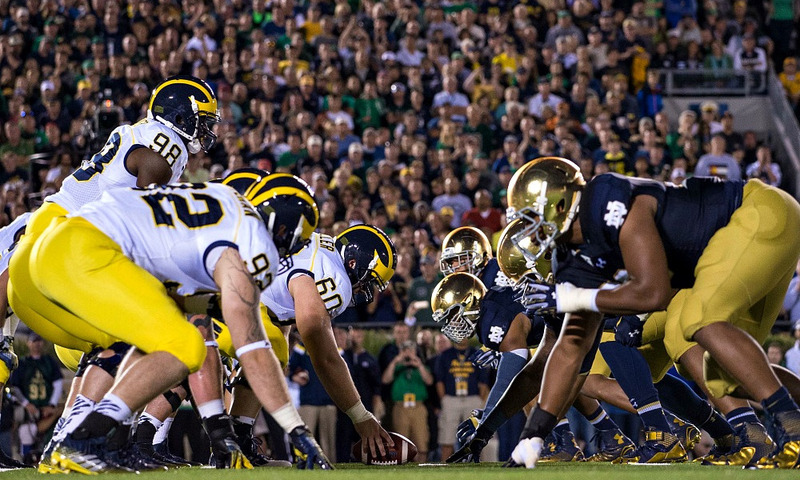 One of the greatest rivalries in College Football history will be renewed on opening night in South Bend. Adding to the stakes in this edition is the fact that both teams are ranked inside the top-15. Due to conference realignments and Notre Dame’s commitment to play a certain number of ACC opponents as a basketball member, the two teams have not met since Notre Dame’s 31-0 win back in 2014. Michigan leads the all-time series 24-17. The clock seems to be ticking on Jim Harbaugh in Ann Arbor, with fans expecting results now. With transfer Shea Patterson expected to be the new man under center, the Wolverines would love to steal a big Week 1 road win. Cougar fans are hoping that last season’s 4-9 showing is merely a blip on the radar. As an FBS independent, BYU is locked into playing a tough schedule, and this year starts off with a road trip to the desert. Arizona was picked to finish third in the Pac-12 South Division preseason rankings. Mesmerizing dual-threat QB Khalil Tate returns, so the BYU defense will have to be sharp. Points could come early and often on both sides in this one. There’s nothing like a West Coast shootout to cap off a College Football Saturday. How about a top-25 ACC-SEC matchup in Week 1? With the NFL regular season still a week away from commencing, Miami and LSU will provide the lone football action this Sunday. The Tigers were picked to finish seventh overall in the SEC, but the talent in Baton Rouge could easily shatter those expectations. At the same time, if the offense in particular underwhelms, it could be a rough season. Meanwhile, the Hurricanes are the clear favorites in the weaker Coastal Division of the ACC. If Miami has College Football Playoff aspirations, a win over LSU here is critical. 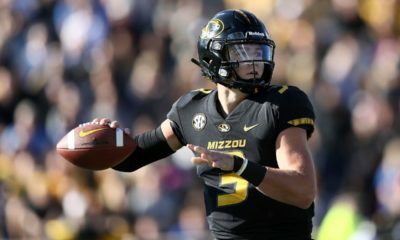 Given that the Tigers may struggle in SEC play, a loss could look bad on the resume. The range of outcomes for the Seminoles this year is a wide one. New coach Willie Taggert should provide an immediate positive impact to the offense, and the talent is there elsewhere to potentially threaten Clemson in the Atlantic Division. VA Tech will once again be chasing Miami on the Coastal side and was picked to finish fifth in the conference overall. The lack of skill position talent will be a big hurdle for the Hokies to overcome in 2018. Give the edge to the home team FSU in this Monday night tilt.